October-November, 2018 - Roswell, GA - The LTY Foundation worked with 27 female students at Centennial High School. These students are part of the Ladies of POWER group. Our facilitator, Shanna Jefferson, focused on positive self-identity and self-esteem. The students said the sessions were great. We are already working with school administration to schedule more sessions for Spring 2019. May 25, 2018 - Atlanta, GA - The LTY Foundation served students in 10 Atlanta-area schools during the 2018 Spring semester. As a result of participating in weekly small-group sessions, students have experienced a decrease in suspensions and behavioral incidents, as well as, healthy coping skills. We partnered with Communities in Schools-Atlanta to identify students who could benefit from the weekly sessions. We have a wait list of 20 schools for the 2018 Fall semester. 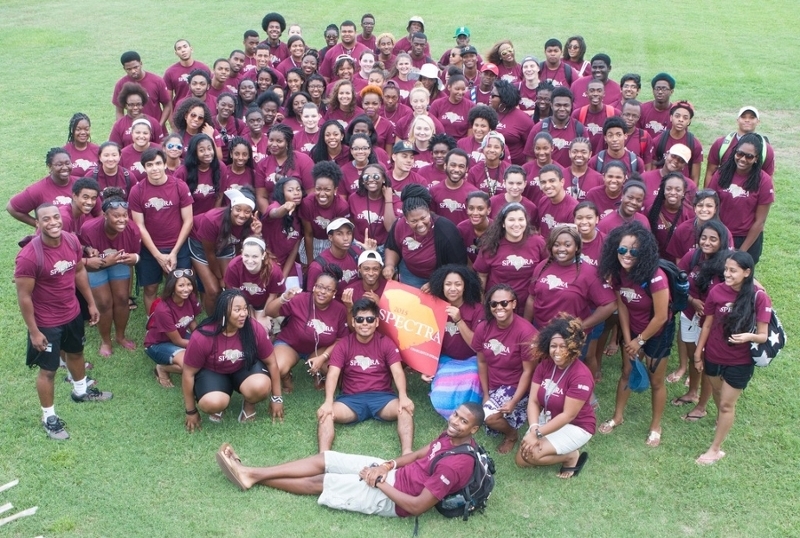 We are excited to continue serving schools and communities this Fall. March 7, 2018 - Atlanta, GA - The LTY Foundation received a 2018 grant from the Fulton-Dekalb Hospital Authority (FDHA). The community grant is designed to help the LTY Foundation continue to provide mental health education in Atlanta area schools. We help students with stress management, communication skills, anger management, coping skills, conflict resolution and more! The LTY Foundation is honored to be among the 2018 grantees. March 1, 2018 - Atlanta, GA - The LTY Foundation received a 2018 small grant from the Country Club of the South Charity Guild. The grant is designed to help the LTY Foundation continue to provide youth mental health education in Atlanta area schools, organizations and communities. We conducted weekly small group sessions with students in 10 schools during the Spring semester and plan to work with more schools this Fall. The LTY Foundation is honored to be among the 2018 grantees. January 29, 2018 - LTY Foundation (LTYF) is pleased to announce the appointment of Lauren Carson as LTYF’s new Executive Director. Lauren brings a unique set of qualifications with her background in mental health initiatives, non-profit entrepreneurship and operations. In her new role, she is responsible for directing and overseeing the daily operations of LTYF, including fundraising initiatives, and the development and administration of the organization’s annual operating budget. Lauren has most recently served as Executive Director & Founder of Black Girls Smile in New York, based on the gaps she experienced throughout her mental health journey as a young African American female with clinical depression. On returning to her hometown of Atlanta, Georgia she wanted to continue her work with mental wellness. “I am committed to providing education, support and resources necessary for young people to lead more positive mentally healthy lives.” Tamu Lewis, former President of LTYF, is now serving as Board Chair. The LTYF team, including our volunteers and organization partners, are excited to work with Lauren to move the organization into the future. 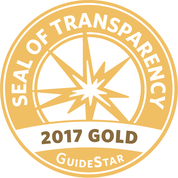 October 31, 2017 - LTY Foundation was recently recognized for our transparency with a Gold Seal on our GuideStar Nonprofit Profile! GuideStar is the world’s largest source of information on nonprofit organizations. More than 8 million visitors per year and a network of 200+ partners use GuideStar data to grow support for nonprofits. In order to get the Gold Seal, LTY Foundation shared important information with the public using our profile on www.guidestar.org. Now our community members and potential donors can find in-depth information about our goals, strategies, capabilities, and progress. We’re shining a spotlight on the difference we help make in the world. Check out our GuideStar Nonprofit Profile and tell us what you think: Click here. July 26, 2017 - Atlanta, GA - The LTY Foundation is delighted to continue our partnership with Communities In Schools of Atlanta. We provide mental health education sessions in CIS - Atlanta member schools for elementary, middle and high school students. Topics covered include: stress management, anger management, coping skills, communication skills, five signs of emotional pain, and many more. March 8, 2017 - Atlanta, GA - The LTY Foundation received a 2017 grant from the Fulton-Dekalb Hospital Authority (FDHA). The grant is designed to help the LTY Foundation continue to provide mental health education in Atlanta area schools, organizations and communities. We conducted multiple sessions with high school students during the Spring semester and will continue working with schools in Fulton and Dekalb counties this Fall. The LTY Foundation is honored to be among the 2017 grantees. LTY Foundation was excited to provide Youth Mental Health First Aid certification training sessions to Atlanta metro communities on September 24, November 12, and December 11, 2016. Mental Health First Aid is an 8-hour certification course for caring adults who want to help youth (ages 12-18) who may be in crisis or experiencing a mental health challenge. This training was offered free of charge to participants. Due to the overwhelming positive feedback received, additional community training sessions will be scheduled. Please contact us if you are interested in attending an upcoming class. October 27, 2016 - Atlanta, GA - LTY Foundation presented a parent session on "Connecting With Your Teen/Tween" at Haynes Bridge Middle School. The presentation included information on communicating effectively with teens/tweens and how to keep the lines of communication open. This encourages healthy conversations that allow teens/tweens to express their feelings and may help avoid emotional crisis situations. Contact us to schedule a session for your school or organization. October 8, 2016 - Atlanta, GA - LTY Foundation presented "A Parent's Guide to Teen Depression" at the 100 Black Men North Metro Chapter's Super Saturday Symposium. The parents and mentors learned important information on dealing with teens and depression. The participants were engaged in the presentation and there was meaningful discussion during the Question and Answer session. Each participant received the following information: Know The Five Signs, Crisis Text Line, LTY Foundation brochure and links to other helpful mental health resources. September 23, 2016 - Atlanta, GA - LTY Foundation welcomes four new Board members and one new Advisory Board member to our team. Michele Dock, Dr. Nilaja Green, Kaylyn Hibbs, Shay Lawson, Esq. and Malenka Warner display a passion for mental health. The entire Board of Directors is committed to the LTY Foundation mission of erasing the stigma associated with mental illness, advancing holistic health treatments and improving the lives of all those impacted. July 1, 2016 - Charleston, SC - LTY Foundation's Community Outreach Coordinator, Lydia Bailey, presented mental health and wellness information to College of Charleston students in the SPECTRA program on July 1st and July 6th. Lydia and the students had an open dialogue about mental health, mental illness on the college campus and the importance of knowing how to access assistance in the community and on campus. Each participant received the following information: Know The Five Signs, Crisis Text Line, LTY Foundation information sheet, and links to other helpful emotional wellness resources. May 1, 2016 - Atlanta, GA - You asked for it, you've got it ... a second chance to purchase your awareness t-shirt. 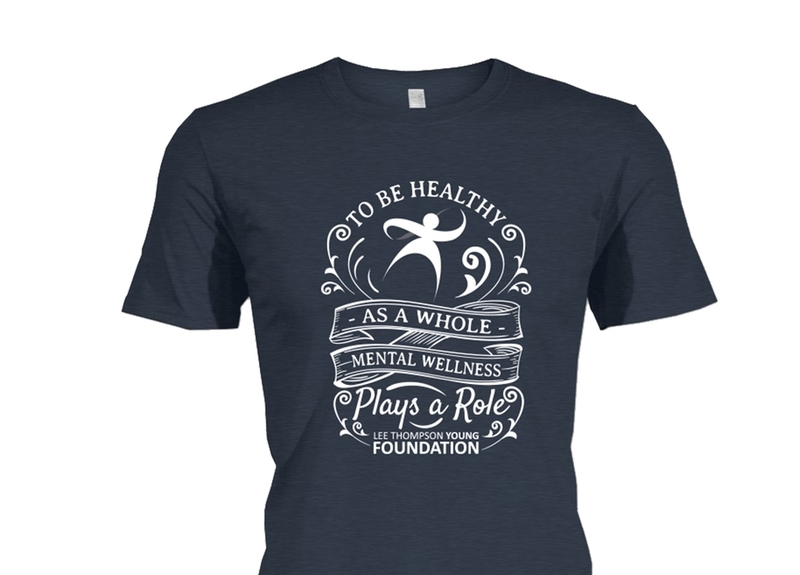 The Lee Thompson Young Foundation re-launched its awareness t-shirt fundraiser campaign beginning May 1st for Mental Health Month. The goal is to sell 200 awareness t-shirts in 2 weeks. Achieving this goal will help fund additional Mental Health Training for K-12 educators, students and parents. Together we can promote mental wellness and help erase the stigma associated with mental illness. The sale ends May 15th. Wear and share your support! March 8, 2016 – Atlanta, GA – The LTY Foundation has partnered with Communities In Schools (CIS) to offer a series of mental health educational awareness and wellness training sessions to students over four weeks in two Atlanta area high schools this Spring, with more to come. Training sessions will focus on recognizing and responding to mental and emotional pain, and wellness resources, developing healthy coping skills, enhancing emotional intelligence, and building resilience. Feb. 29, 2016 – Atlanta, GA – The Lee Thompson Young Foundation launched its first fundraiser of 2016! The goal is to sell 300 awareness t-shirts in 3 weeks. Achieving this goal will help fund Mental Health Training for K-12 educators and students so together we can help erase the stigma associated with mental illness. The sale ends on March 20th. Wear and share your support! Jan. 23, 2016 – Atlanta, GA – The Metro Atlanta Alumni chapters of Phi Beta Sigma Fraternity and Zeta Phi Beta Sorority presented its Sigma Zeta Dove Award annually to Atlanta based organizations doing work that makes a difference in our society. The Lee Thompson Young Foundation was honored to be the 2016 Dove Award winner. The Foundation’s president, Tamu Lewis, accepted the award at the Sigma Zeta Annual Founders' Day celebration. January 12, 2016 - Atlanta, GA - LTY Foundation is honored to be a recipient of the Fulton-Dekalb Hospital Authority (FDHA) Healthy Community Grant. Each year FDHA awards grants to organizations that help meet the healthcare needs of the community. FDHA funding is supporting the LTY Foundation's Needs, Emotional Intelligence, Cognitive Behavior (NEICB) mental health education program. NEICB is an empowerment and resilience training series delivered to high school students during school. October 17, 2015 – Atlanta, GA – Lee Thompson Young Foundation President Tamu Lewis served as a panelist for the Fulton County PTA fall conference. The focus of the panel was on Juvenile Mental Health and Awareness. The moderated panel addressed depression, anxiety, suicide prevention, and other mental health issues for children. August 25, 2015 – AUSXIP, a Rizzoli and Isles (TNT's television series) fan site, hosted an on-line charity auction to benefit Lee Thompson Young Foundation from August 25, 2015 through September 1, 2015. Lee Thompson Young's most recent role before he passed was Detective Barry Frost on TNT's Rizzoli and Isles television series. August 22, 2015 – Abbeville, SC – Lydia Bailey-Padgett, Ed.S., M.L.A., LPC, CAC-I, Community Outreach Coordinator for Lee Thompson Young Foundation, was a guest speaker at the Ladies Rainbow Tea (a private event) at the Abbeville Church of Christ in Abbeville, SC. Lydia provided vital information about mental health issues and local South Carolina mental health resources. Interested in including mental health awareness/education at your next event? Connect with us here. July 8, 2015 – Los Angeles, CA – LTY Foundation Director of Special Projects Xingú Del Rosario and Young's close friend Justin Tolliver, hosted a benefit event at theThe historic Figueroa Hotel, featuring DJ Mark De-Clive Lowe (CHURCH) to support the Foundation’s mental health awareness efforts. Proceeds from the event supported the Foundation’s ongoing commitment to mental health literacy. April 28, 2015 – Atlanta, GA – Lee Thompson Foundation President Tamu Lewis participated in a half-hour conversation with host Stephanie Johnson, M.A. on “Lunch Therapy,” Thursday, April 30, 2015, at 12:00 EDT. December 2, 2014 – Atlanta, GA – The Lee Thompson Young Foundation announced the appointment of Lydia Bailey-Padgett, Ed.S., M.L.A., LPC, CAC-I, as Community Outreach Coordinator for the State of South Carolina. November 14, 2014 – Atlanta, GA – The Lee Thompson Young Foundation announced that Kevin Adams, former Managing Director at Goldman Sachs, will serve on the Lee Thompson Young Foundation’s Financial Affairs Advisory Board. October 6, 2014 – Atlanta, GA – The Fulton-DeKalb Hospital Authority announced today that The Lee Thompson Young Foundation has been awarded a grant to support the development and delivery of parent and educator mental health and wellness education in Atlanta area schools. July 26, 2014 – Atlanta, GA – The Lee Thompson Young Foundation Board of Directors benefited from the expertise of Alexander E. Crosby, MD, MPH during an hour long session on the current state of the mental health sphere. Crosby is a Medical Epidemiologist with the Division of Violence Prevention, National Center for Injury Prevention and Control, for the Centers for Disease Control and Prevention. May 12, 2014 – Atlanta, GA – On August 19, 2013 American Actor Lee Thompson Young lost his life to suicide after suffering from depression and associated conditions, including manic-depressive illness (bi-polar disorder). Young, who had been an actor, advocate, and leader in his community suffered for years. Survivors Velma Love and Tamu Lewis, Young's mother and sister, found meaning in the loss of their family member and vow to make mental health literacy and treatment a greater priority.